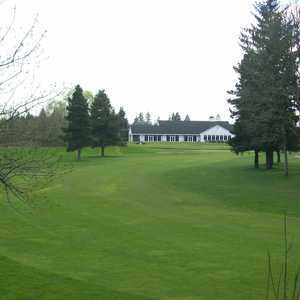 The 9-hole Executive at Meriwether National Golf Club in Hillsboro, OR is a public golf course that opened in 1996. Designed by Dave Powers, Executive at Meriwether National Golf Club measures 1789 yards from the longest tees. The course features 2 sets of tees for different skill levels. The 9-hole Killarney West Golf Club in Hillsboro, OR is a public golf course that opened in 1979. 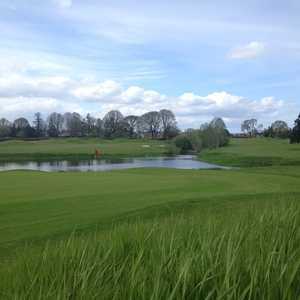 Designed by Hank Van Grunsven, Killarney West Golf Club measures 2516 yards from the longest tees. The greens are bent grass and the fairways are winter rye. 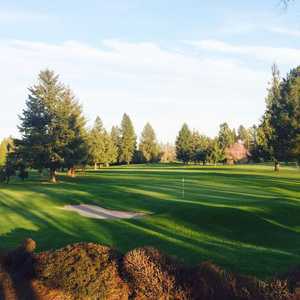 The 9-hole McKay Creek Golf Course in Hillsboro, OR is a public golf course that opened in 1995. Designed by Bill O'Meara and Jeremy Reding, McKay Creek Golf Course measures 2761 yards from the longest tees and has a slope rating of 103 and a 64. The 18-hole North/South at Meriwether National Golf Club in Hillsboro, OR is a public golf course that opened in 1962. Designed by Fred Federspiel, North/South at Meriwether National Golf Club measures 6779 yards from the longest tees and has a slope rating of 117 and a 71. The 18-hole South/West at Meriwether National Golf Club in Hillsboro, OR is a public golf course that opened in 1993. Designed by Dave Powers, South/West at Meriwether National Golf Club measures 6752 yards from the longest tees and has a slope rating of 115 and a 71. The 18-hole West/North at Meriwether National Golf Club in Hillsboro, OR is a public golf course that opened in 1993. Designed by Dave Powers, West/North at Meriwether National Golf Club measures 6719 yards from the longest tees and has a slope rating of 121 and a 71.